Happy International Women’s Day to all women-identified folks!!! As maybe you’ve heard before, KFF loves the organization CityTeam. CityTeam meets the needs of individuals in the US who are displaced, homeless, or facing extreme poverty. CityTeam’s Heritage Home program in San José helps pregnant women overcome homelessness, chemical dependency, and other hardships while becoming loving mothers to their newborn babies. Heritage Home provides for the women’s physical needs in addition to their emotional, professional, and spiritual needs. All around, this organization and the folks they serve are amazing, and it’s been on our hearts for years to find more ways to support them. After a few brainstorming meetings with CityTeam in 2018, it became clear that there was a need for continued transitional care after the women graduate from Heritage Home. Once they graduate, it’s crucial that women have a safe environment to continue to grow with their infant while they take positive steps towards growth and independence. Without affordable housing or childcare, the graduates often find themselves in difficult situations. Women may be subjected to living in their cars or in unsafe environments. Some return to abusive relationships or fall into unhealthy habits. Our mother and dear CEO (Chief Encouragement Officer) decided to take action, as usual. Nanette Kinkade purchased and donated a home in San José that would provide continued safe and affordable housing to women who graduate from Heritage Home. The house was named “House of Light” in honor of our dad’s passion for “sharing the light” through his artwork. We are thrilled to announce that House of Light opens its doors in Summer of 2019! House of Light is a six-bedroom home in San Jose, California, that will provide safe, comfortable housing to around fifteen women and minor children. The community living program is designed to give CityTeam graduates a stepping stone between a structured program and transitioning into independent living. Continued daily access to CityTeam services, such as the Learning and Career Center, mentorship programs, parenting classes, AA meetings, and enrichment workshops. Rotating leadership opportunities within the home, and an opportunity to grow in leadership and practical living skills. Living with a small community of other women and mothers to promote mutual support, understanding, respect, security, and mental wellness. The House of Light follows a model of care that honors women’s tenacious ability to care for themselves and their children. The intention is that this becomes a place of peace, security, and joy for the families who make House of Light their home. Thank you to our supporters and friends for walking with us through this journey and believing in our work. And special thanks to Lara Fulmer from CityTeam and Lynsie Gridley who helped make our dreams come true with this project! We look forward to giving more updates in the near future! To stay up-to-date with House of Light, follow along with Facebook or Instagram. Again, Happy International Women’s Day to all you incredible ladies! May today be a reminder of how amazing you are, how far we’ve come, and how much stronger we will be when we continue to work with another! We love you! We are looking for individuals to volunteer with this project! Opportunities currently include project preparations (demolition, yard work, clean-up, interior design direction, etc...). We have plenty of giving opportunities! If you feel inspired to donate to Cityteam, click here. When you were a child, what did you want to be when you were older? Can you remember what your dream was? Did you accomplish that goal? Future lawyers, engineers, and presidents stood in front of me with big smiles and determined minds. When I was younger, people would ask me what I wanted to be when I grow up. I had a dream of being an artist like my dad. I am lucky to have had many people help me along my path of becoming who I am: a mentor during my high school years, a 7th grade art teacher (Mr. Souder, if you’re reading this, I’m talking about you! ), and of course my fantastic mother and father, just to name a few. I had access to important resources that aided my learning and growth as an individual, such as enough food everyday, clean clothes, shoes, school supplies, art materials, and much more. Returning to the questions that I previously asked you, when you were growing up, did you have access to these types of relationships and resources? Who, or what, helped you along the way? For the kids of Casa Generación, access to such resources is extremely limited. Meeting their daily needs is a challenge. It’s tough to find enough money to pay for school, and school supplies are costly and difficult to attain. The children of Casa Generación have such potential, and like all of us, they need help along their way to make their dreams realities. 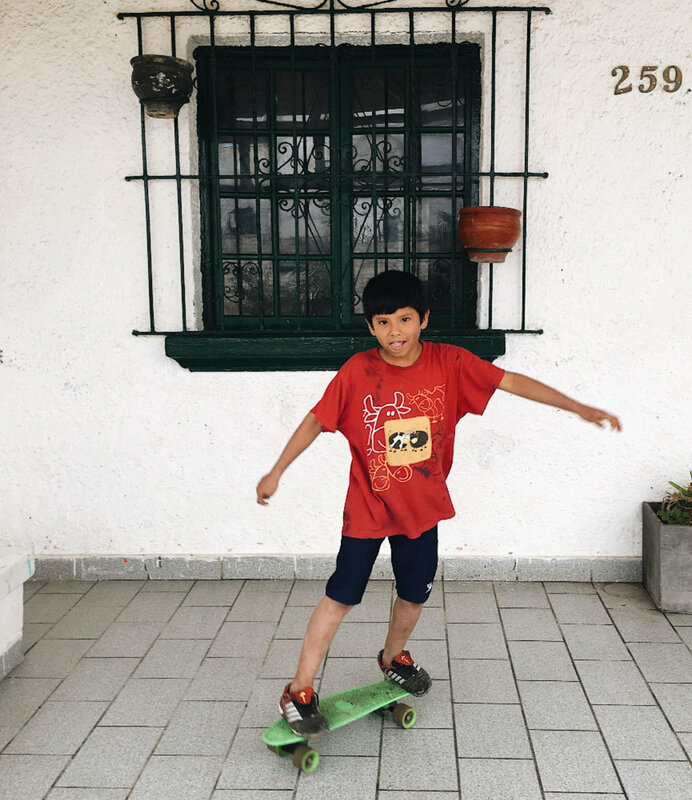 Here at Kinkade Family Foundation, we believe in assisting the children, adolescents, and young adults who lived in the streets of Lima to realize their abilities, enjoy their rights as citizens, and be active participants of their own destiny. 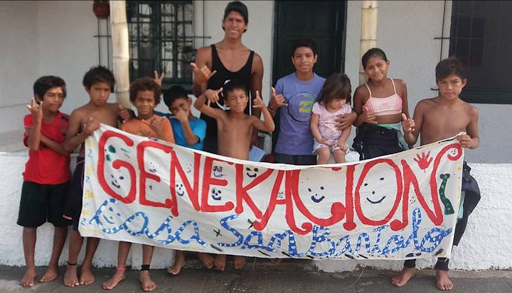 Casa Generación is currently in desperate need of our help to achieve this goal. Typically, we help the organization fundraise for education for the youth, but in this current season Generacion is struggling to fill all the children's basic needs. We want to fulfill these before we contribute to the schooling. Your donation will go towards basic needs such as food, housing and medical needs. Once these needs are met, we will continue our pursuit towards providing education for the children of Casa Generacíon. If you feel led, please consider making a donation to the help the kids of Casa Generación meet their basic needs. If you feel more passionate about donating to their education fund, that is more than happily accepted… Finally, if you have lightly used clothing, shoes, school materials, books/games in Spanish, or sports equipment, the Kinkade Family Foundation will be headed back to Perú in December and would love to bring that to the children! Contact merritt@kinkadefamilyfoundation.org for more information on donation details. We all have the opportunity to be a positive change in the lives of others. Let’s orient our social action to improve the life conditions of children like Angelín, Alison, and Francesco so that they might actualize their hopes and dreams. This is a chance for us to be that person, that resource, that creates an impact in the lives of the children of Casa Generación. Walking into Thomas Kinkade’s studio, there is a feeling of wonderment that falls upon you. It is a distinct energy that is tough to pinpoint, but there is no denying it. The creative exuberance of Thomas Kinkade is still in those walls. In honor of National Arts in Education Week 2016, we are sharing an essay that Winsor Kinkade wrote for one of her college classes about the importance of arts education in public schools. José Nuñez working in the Creativity Explored studio. Photo by Nina Menconi. The Kinkade Family Foundation partners with organizations local and abroad to bring art education to children. In addition to our own programming, today we’re thrilled to bring you a brand new series, "Bay Area Arts Showcase," where we highlight local arts nonprofits making a difference in the Bay Area. We are excited to learn about the beauty that lives within our city and are already inspired by the incredible talent and impressive programs these organizations offer our community. Our first installment of this series features a visit to Creativity Explored by Chandler Kinkade. We hope you enjoy learning about this compelling organization just as much as we have. Located in the bustling Mission district in San Francisco, Creativity Explored is a non-profit organization that provides artists with developmental disabilities the means to create, exhibit, and sell their art through their on-site studios and galleries. Today on our blog we dive deep into the mind of Winsor to learn about her creative process, what drives her to be an artist and how she is using art to help others. “I think what Keane has done is terrific! If it were bad, so many people wouldn't like it." When the proposal came through my inbox to lend a few Thomas Kinkade pieces to Utah State University for an exhibit exploring kitsch, I didn’t know whether to chuckle or to be offended. The term kitsch, deriving from the German word verkitschen meaning "to make cheap," is usually used to describe objects or art that are considered to be in poor taste. Thomas Kinkade has often been referred to as the “King of Kitsch,” which seemed, to me, like a negative label for him as an artist. 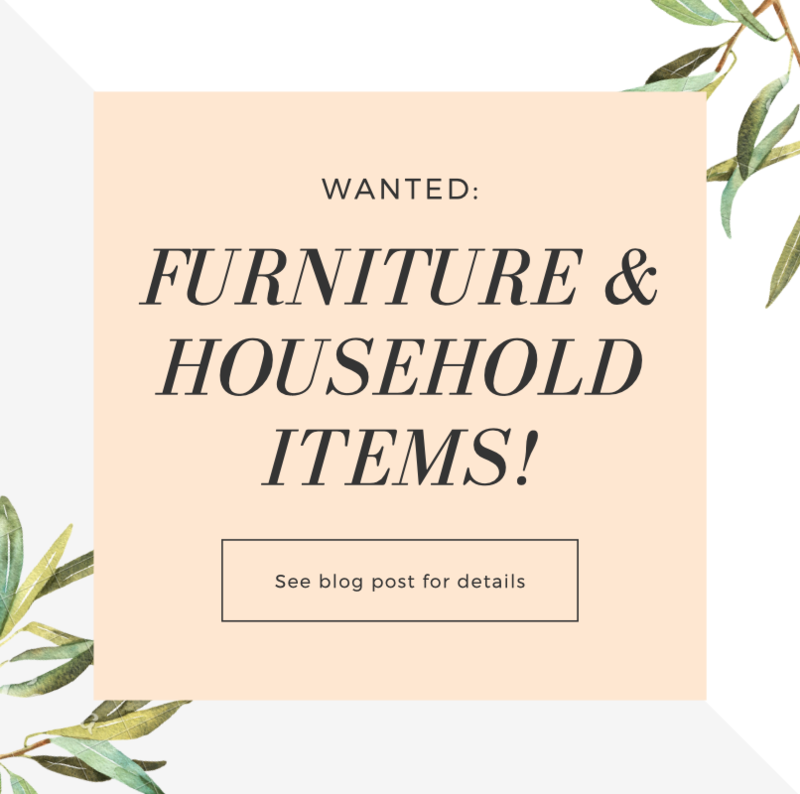 Today on our blog, we celebrate with a post about an organization that encourages the creative reuse of materials when making and teaching art. Fabrics, miscellaneous buttons, sewing patterns, figurines, jewelry, pen caps, scraps of paper, used art supplies, and old books pepper the walls from floor to ceiling of the giant warehouse space. It is filled with the clutter from houses and businesses that get thrown away, recycled or donated. Welcome to Kinkade Family Foundation’s first blog post! The first of many to keep a network of people and organizations informed of the work we’re doing in the San Francisco Bay Area and around the world.